The versatile wrap can be used to treat: knees, legs, elbows, arms, ankles, shoulders, and other applicable parts. 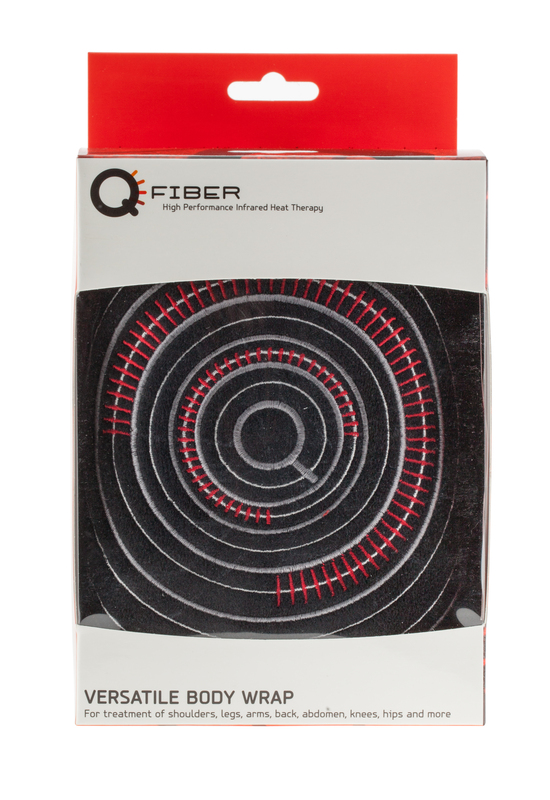 It also includes an extra strap that can be attached so that it can be used to treat the lumbar, back, abdomen and hips..
Qfiber is a high performance infrared heat therapy system. 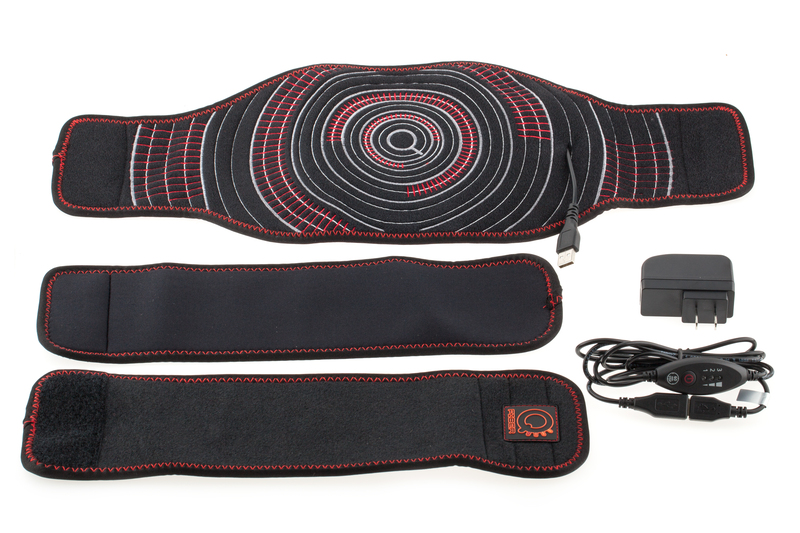 It is essentially a heating pad that wraps around a body part or joint. 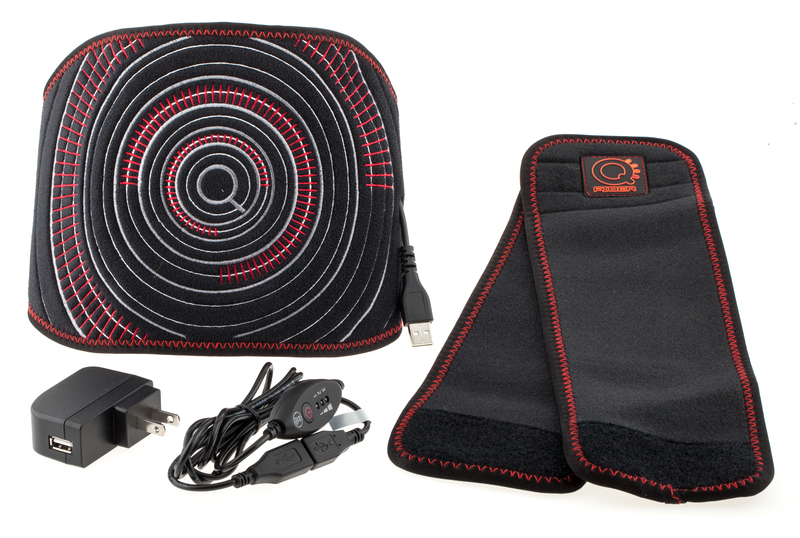 Using special heat fabric technology, and through the ultimate portability of USB 2.0, Qfiber goes where you go, while emitting the medically-proven benefits of infrared heat. 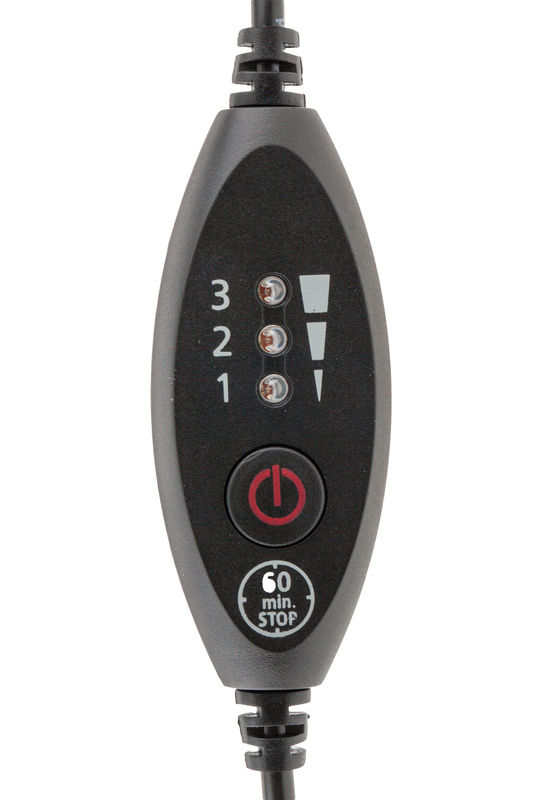 The Body Wrap includes a standard accessory kit that comes with every Qfiber model.